Please contain your excitement folks. Yes, it's a modelling update! 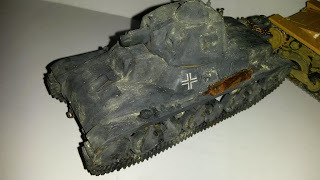 The Hotchkiss H35 completed last week and I used some pastel chalks for the first time to add dust from the early days of operation Barbarossa. I had considered painting it in French camouflage for the 1940 campaign but I shall save that for when I buy a similar kit for a future diorama. Having just read up on the 1940 French campaign and reacquainted myself with what can only be described as dreadful leadership and wishful thinking at that time, I will look at further kits from that time. Many British and French troops acquitted themselves well whereas others...So many 'What if' situations but c'est la vie. I might paint it as one of the Italian tanks used on the Russian front circa 1942 but they were in service up until 1945 in Yugoslavia and Italy by the Germans, Croats and Partisans. Also by the Italians until the early 1950's. 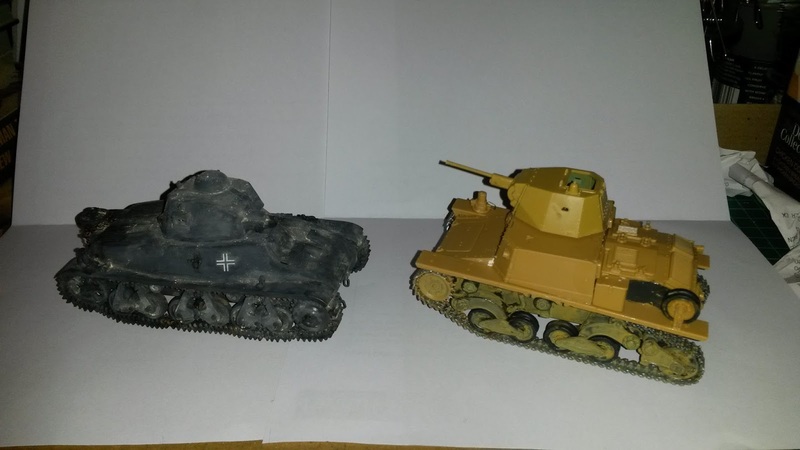 But there is the North African desert colour scheme option and I might use that for a future diorama with the Eighth Army. There are videos out there of some chap who builds models and sprays them gold or silver which is quixotic to say the least but each to their own! 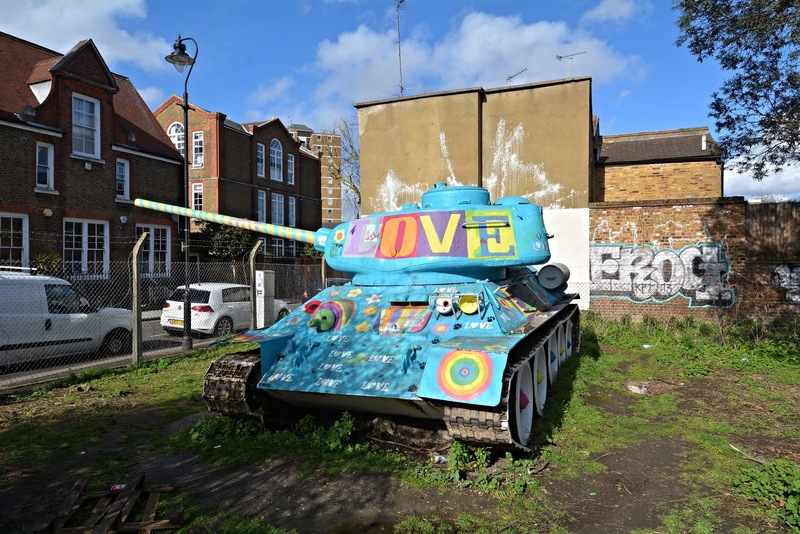 Somewhere in South East London there is a patch of spare ground with a rainbow coloured T34 tank parked on it. 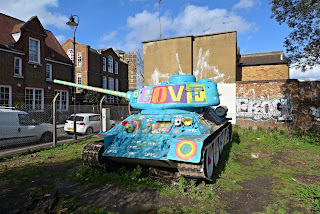 Apparently the owner of the land was refused permission years ago by the council to build a house on it so he bought a tank, parked it up with the cannon pointed in the direction of the town hall and rude messages painted on it as an 'Up yours!' statement. 'Stompy' with photo from this site and a brief history about it. 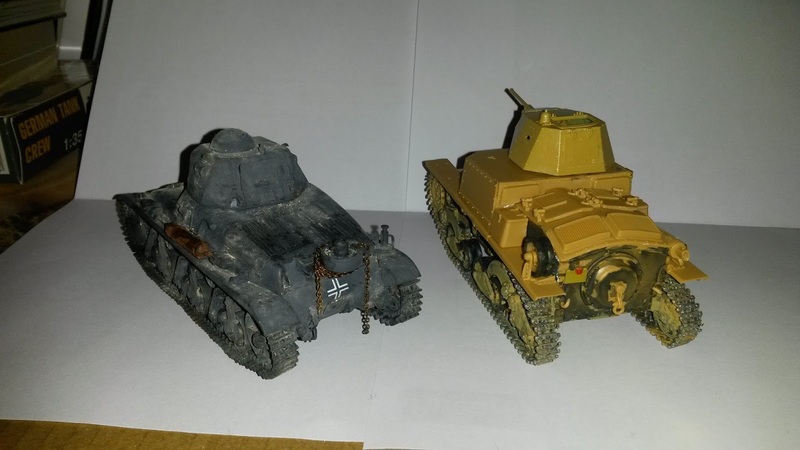 Perhaps I'll buy a cheap model tank and paint my own Rainbow Warrior!